Incredible job! Truly superior level !! Thank you very much, you know...there is a place in the first row for you when i release the 205! 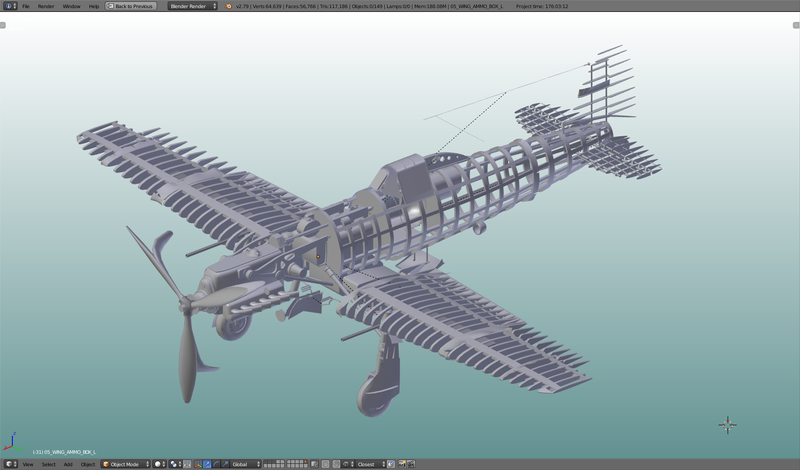 Here we are,missing tail system,manifolds and cables(i think not necessary),internal surfaces. The cockpit will be updated by a downgrade of the high res (internal) model. Simply amazing my friend, keep up the nice work ! Once you have tasted Flight, you will forever walk the Earth with your Eyes turned Skyward. The external model is 99.99999% finished. No images, they do not add anything to what has already been seen. I am preparing UV map groups for textures and are ready for a field test as a static model. I'll take (at least) the next week to define the animations and add a pilot. The next step is a model controlled by the AI. Then we borrow the cabin from another model and take a ride, while I begin to shape the custom interior. I would say that you are respecting the program, just in time for 2.5. Fascinating work! Thanks for sharing your progress. Congrats for the amazing model so far. I looking for some help here. I have read all the post already and there is no more news for the development of the edm plugin for Blender. You have created your own fully working mod of the original code, but you are not able to share because you need original author permission? Is this right? 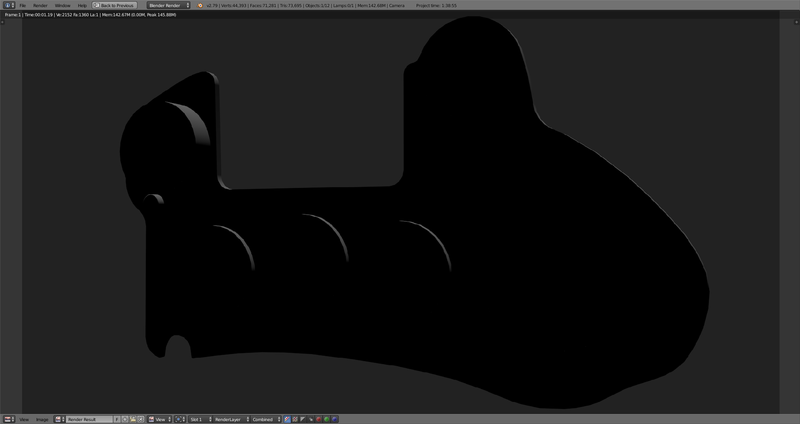 I did not manage to get properly running the actual emd for blender so far. Importing: Everything that comes with animation has wrong axis, models with bake animation wont work (not big deal for me). 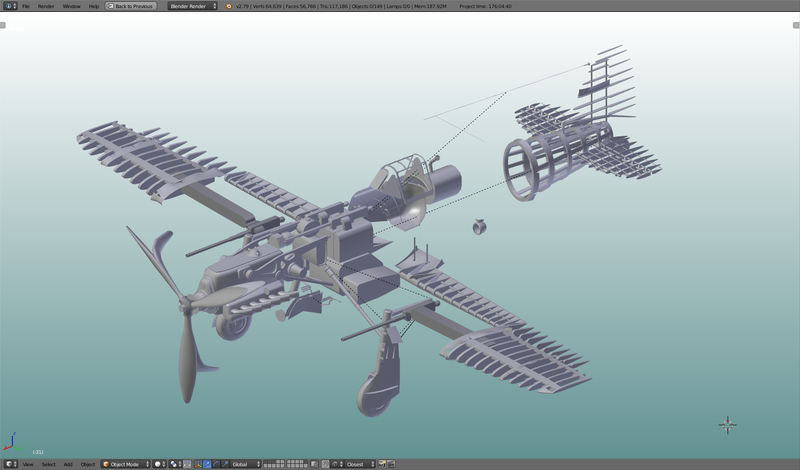 Simple props come well and have the UVs (this is good). Exporting: I have try many Blender versions and read the documentation several times, but does not seem to work for the exporting. Indeed, my aspirations are not very high, just would like to create some static prob by now. Any help, tutorial, tips,... anything? Pleaseee!!!! Adjusting the model, even just correcting the axes, is part of the job. The Blender plugin has its limits, even in the version that I modified for personal use. I struggled a lot to get certain results, asking does not cost anything, but it would be more correct if you too, like me, you work hard to achieve your goals. I write it to you but I tell all those who asked me (discord, mail, private message, forum) i never release copies of my modified plugin, is the result of hard personal work. Months and months, not hours, spent studying python, spent to adapt my engineering modeling to videogame modeling. Achieving a goal is a personal satisfaction. Over time I learned, disappointment after disappointment, that nobody gives you anything for nothing. I know I could seem cruel, but it's the right thing. Believe me. 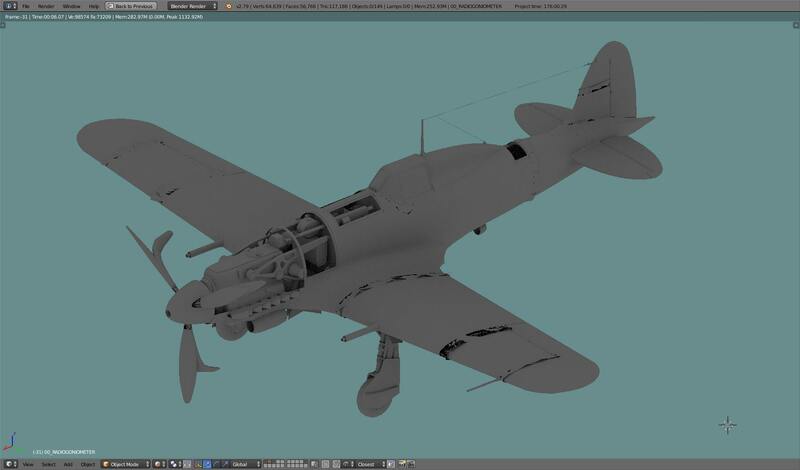 I'm sure that with a little 'effort you will be able to straighten the models extracted with the plugin available. You will be able to study them and understand how certain things are to be done. If that was not enough the creator of the original plugin is untraceable, it would be wrong to climb on his shoulders making available a modified version of his work without consent, right? The tones of this post may seem harder and more annoying than they are, forgive my English ... I know I could use GT ... so I feel more sincere and genuine. Thank you very much for the compliments. -- English (US) -- Russian (RU) All times are GMT. The time now is 02:27 PM. vBulletin Skin by ForumMonkeys. Powered by vBulletin®.